Trent Alexander-Arnold will be the next player to agree a new contract with the Reds following Andy Robertson’s extension earlier this week. The right-back, who was expected to be out for a month with a knee injury but is now anticipated to be returning much sooner, could well have an extended deal on improved terms the next time he steps out onto the Anfield turf. 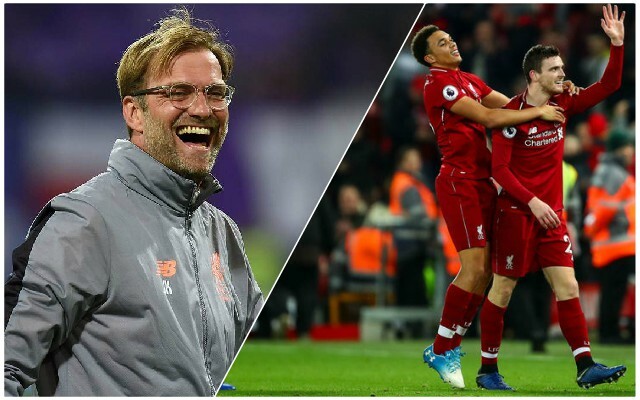 There are not expected to be many complications with the boyhood Red keen to continue his development under Jurgen Klopp – and Reds fans have every reason to be delighted. Trent has got to the Champions League final already, and has played at the World Cup for England. At the age of 20, he has the world ahead of him. It will be great to watch him thrive even more with the Reds in the coming years – we suspect this will not be the last contract extension he signs at Liverpool!